Cybersecurity is an ever-changing field that is constantly evolving. As technology changes, hackers adapt to new security measures. This leads to a need for not only a cybersecurity degree, but certifications to verify current knowledge and skills. Each of these has its own suite of certification requirements. Basic level certification to consider while earning your degrees? CompTIA Security+: this is the starting point, assesses your IT knowledge, skills and abilities after two years' cybersecurity fieldwork, and establishes the core knowledge required for just about any cybersecurity role. CompTIA Cybersecurity Analyst (CySA+): This is a high-stakes, intermediate certification that applies behavioral analytics to prevent, detect, and eliminate cybersecurity threats. Global Information Assurance Certification (GIAC): This certificate shows prospective employers that you know how to stay ahead of black hat attacks. Getting into this club involves submitting a written paper. Cisco Certified Network Associate (CCNA): Associated with the Cisco Certified Network Associate Routing & Switching Certification, the CCNA is a composite exam that tests a candidate's skills and knowledge to install, operate, and troubleshoot a small to medium-sized network. You can qualify for an entry-level job in cybersecurity by taking all these certifications, earning a degree, or both. The benefit of a degree is that it gives you the background you need to prepare for the multitudinous certification exams. On your own it can be confusing and inefficient to take training courses for material you've never worked with before. A degree program will teach skills in business administration and project management as well as the technical details you will need to probe, manipulate, and protect information systems. It will drill down into basics of programming, cloud solutions, networking, databases, and even LINUX. You may be surprised to find subjects on the curriculum such as Culture and Diversity, Environmental Biology, Physics, and Psychology. Many of these courses are very writing-intensive, so you will be introduced to the principles of communication, college composition, and advanced composition. Something that is important in any field. A competent degree program will give you 'soft' skills in leading and functioning as a team member; engaging in professional development through research, selecting and reading the right technical literature, attending conferences, participating in user groups, and joining associations. In your job, you could be expected to deliver presentations to both technical and nontechnical personnel. A solid degree course will provide you with the communications tools to provide oral, written, and graphical output in both environments. Are you interested in cybersecurity? 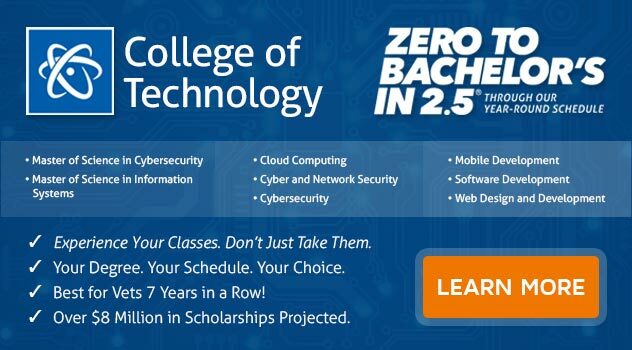 If you want to earn a Bachelor of Science Degree in Computer and Information Science with a Major in Cyber and Network Security, ECPI University offers this program at an accelerated pace. For more information regarding this exciting program, connect with a friendly admissions representative today.